And now, the results of our blind camera comparison are in. Keep in mind that in this camera comparison we only had daytime photos and you can see the explanation for that towards the end of this article. So... ready to see the results? Let's get started. So let's count down the votes: we have 5 wins for the Galaxy S10+ and 2 wins for the iPhone XS, but looking at the distribution of votes, it is clear that the difference between the Galaxy and the iPhone is not all that significant as the two often get very close votes. 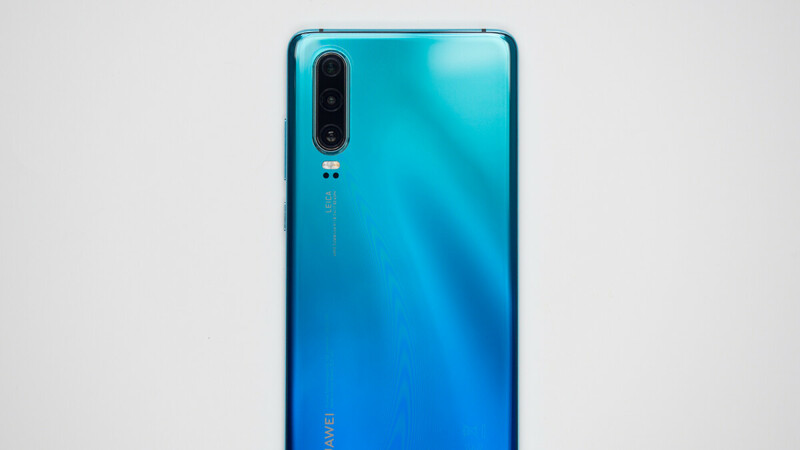 The important takeaway is the very low score that the Huawei P30 Pro got: often, it got less than 10% of the votes, which really shows that pictures that it produces are not nearly as likable as the ones from the Galaxy and the iPhone. In other words, we do have a winner, but the bigger news is that the loser was so far behind. While many analysts have called the Huawei P30 Pro the best camera ever, these results show that the reality is not quite as simple. Yes, the P30 Pro often captures impressive photos when you have no light available and when zooming in, but one can argue that the majority of photos and videos are taken when your human eyes can actually see what is being photographed. And while many people have also claimed that these days there is no big difference between smartphone cameras during the day, the reality is that the votes in this comparison prove otherwise. So why did people vote against the P30 Pro in this comparison? The most obvious explanation is that the colors just lack the liveliness you see on other phones. And yes, not surprisingly when you have a sensor with two yellow pixels, the actual photos also turn out... well, with a very clear yellow tint. Add the somewhat dull colors as the two possible explanations. So now that you see the results, what are your thoughts? Why do you think so few people voted for the P30 Pro? the trade-off of having the best low light camera on the market. Completely agree. Google's night sight (and perhaps the P30's) can be described as voodoo, magic, or WTF? they are so insane at pulling details your eye can't even see in the dark. Bring the lights up a little - and its not so much, in some cases they are brighter but actually worse. Everyone has to decide for themselves how they use the phone for picts. While I'm astonished by how well night sight works in almost no light, I can't say that I have ever wanted to take picts in almost no light. The S10 series has much improved low light capabilities despite what alot of people say. The zoom on the P30 is awesome though. I honestly thought that the good pictures belonged to Apple, but I'm glad they belong to Samsung, the S10 prices are already quite good, and I can bet the S10e (now around $600USD on eBay/600EUR in Europe) produces identical results to the S10+. Still iPhone XS is the best smartphone one can buy.. True, highest price, subpar low light and daylight compared to S10, half the ram, half the base storage, 40% less camera, no wifi 6 etc. The iPhone XS truly is a steal / sarcasm. Hot garbage. No thanks. Too many limitations. Overall , the iPhone gives you a full experience. Pics, sound, clarity and ease of use. The subject is about cameras, but really IPhone XS cannot be bypassed in any dimension. Really, I thought the time of blindly worshipping Apple has passed. How can you have ease of use without a fingerprint sensor or some kind of a permanent notification system like a LED or Always On Display ? Apple made you believe that face recognition is made to replace the FPS, but actually they did not have the right tech at the time, and the fingerprint reader will probably reappear this year or the next. And due to the Intel modem, iPhones have some of the worst stand-by times, most modern Androids approach two days of battery life while iPhones only give you one day, albeit with a good screen time. They do well in battery life reviews because reviewers are too lazy/biased and/or lack the patience to test stand-by times, but once you use them in real life, you will have a nasty surprise. 81. moudire73 "Overall , the iPhone gives you a full experience. Pics, sound, clarity and ease of use. The subject is about cameras, but really IPhone XS cannot be bypassed in any dimension." Couldn't disagree more! I honestly cannot trust Chinese phones In any aspect. They just throw more RAMs and cameras. No vision. Regarding this topic , it’s clear that Samsung and iPhone took better pics. Beating Huawei most advertised feature. Lets not forgot any site can cherry pick scenes which can highlight the strengths and weaknesses of any camera. All cameras have different characteristics and will perform better at one thing and worse in another. Check many sources for reviews and try to avoid bias sites. Cough cough iPA. Waiting for how the Galaxy and iPhone fans will suddenly trust phonearenas judgement. Uhm, this is a poll. People will still say it's rigged if iPhone won (happened on other articles before). lol. True. It's just that the phone with Pro in its name has the most cons in this comparison. The huawei p30 pro has sometimes really messed colours. Even more unnatural than Samsung quite often. That might be the reason why so few people voted for that. It seems sad to me that they can get that good night mode, but mess up colors so much. Especially when daylight photos are most common. Yeah, looking at the photos using phonearenas photo comparison tools, the Huwei has some crappy photos. No amount of megapixels can fix bad quality sensors. Images looks blurred and smudgy compared to the S10. As the person who actually took those photos, I would say that the iPhone indeed captures photos that look closest to real life.